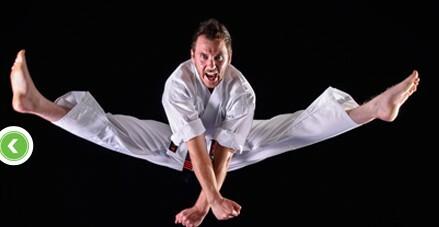 More people train in our Karate centre more than any other Martial Art School in the area. Men, women, children and whole families sign up for our professional programmes that are designed to improve many area's of their lives. We want to help you too, it doesn't matter whether you want bullet-proof confidence, awesome martial arts skills, weight loss or just a bunch of new friends... We can help you out. We have worked with thousands of students that have gone from overweight to slim and toned, from scared to fearless, from being lead to a leader and a beginner to a world class instructor! 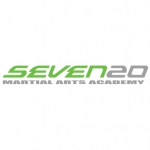 right here at Seven20 Martial Arts Academy, Rotherham Martial Arts. 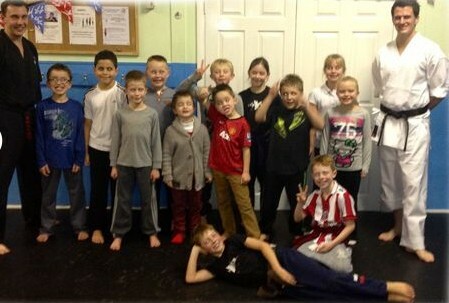 We have trained Hundreds of children here at "Seven20 Martial Arts Academy'&nbsp;Rotherham's Martial Art&nbsp;School&nbsp;since being established and so we know how much they can benefit from the physical and mental aspects of what we teach. Parents are concerned about their child's development and bring their children to us for many reasons; sometimes the children themselves want to be Karate kids or a Power Ranger and that's ok because they will develop tremendous physical skills. As a parent you want more than that for your child: you want your child to be more confident and self disciplined, you want them to know how to behave in public, and not be afraid or intimidated by bullies and be able to have the confidence to speak his mind and make the right choices. We want that too; to encourage a strong sense of confidence and self discipline in children; to teach them how to become a leader and not a follower; to become the type of person you would want him or her to be. And whilst the kids are having a great time being the next Bruce Lee or Jackie Chan they are learning the real life skills that our martial arts schools teach. We have broad experience with children of all types, skills and abilities from the very gifted to those with challenges to overcome. We have experience with conditions such as ADD, ADHD, Aspergers, Autism, Dyslexia, Dyspraxia, Epilepsy, Asthma, Anger problems, Shyness, as well as those who may be overly boisterous or whose behaviour is causing problems at home or at school. Experience a workout that makes you mentally and physically stronger while learning to defend yourself effectively. We want to invite you to test drive our training system with our INCREDIBLE FREE INTRODUCTORY OFFER! Join our team today and learn about the hottest and most talked about self-defence training system in the world. Patience, commitment, willpower, and a positive attitude are all that you need to come prepared to class. Here's Your Opportunity to Increase your Self-Confidence and Feel Better about YOU! LEARN HOW TO reduce your stress, improve your focus and concentration, increase your eye/body coordination, increase strength, stamina and flexibility, learn humility and respect, burn body fat & Stay in shape! Unlike gyms or fitness centres, 'Seven20 Martial Arts Academy development team is comprised of competitors or former competitors who have experience and the “know how" to ensure that you will benefit and reach your goals from working with the best in the area. Whether you are a complete novice, a recreational martial artist or a competitor, We have a program, the expertise and facilities to help you attain your goals! 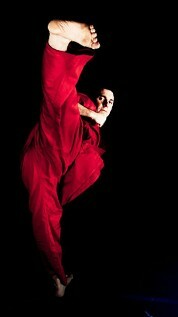 I've been going to British Martial Arts Acadamy at Brinsworth for around 18 months now and am loving every minute of it. The instructor is fantastic and the other students are a good group as well.